Siam Global Engineering Co,.Ltd is dedicated to providing strong, safe and cost effective structural steel solutions for our clients anywhere. 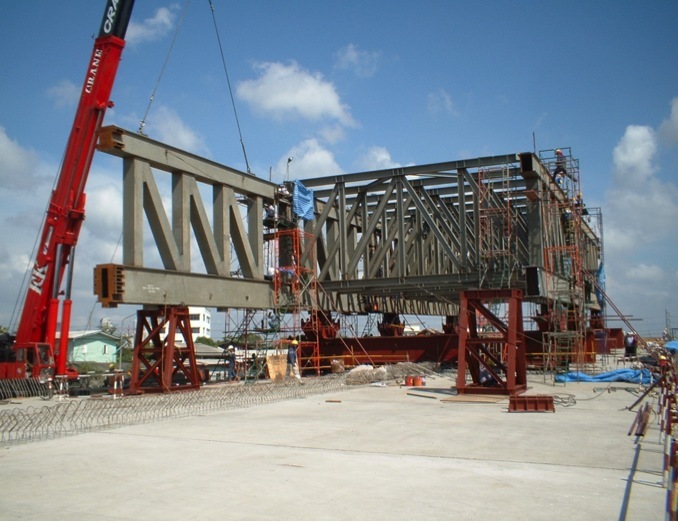 We can supply your total steel structure requirements modulated or pre-fabricated, pre-drilled with cleats welded in place and holes in the correct location for fast and easy erection. We can offer end to end services, reducing the number of suppliers you need to contract with. Whether it is a conventional truss building for an individual customer, or a complex infrastructure project requiring high degree of coordination Siam Global Engineering Co,.Ltd uses its technical expertise, resources and knowledge to fabricate structural steel in controlled conditions in accordance with project specifications. With a very well organised infrastructure Siam Global Engineering,.Ltd pool of experienced technical workforce strives to stretch the limits of production possibilities a little further, by offering fabrication work and value added services at competitive prices. Copyright © 2014 Siam Global Engineering Co., Ltd. All rights reserved.